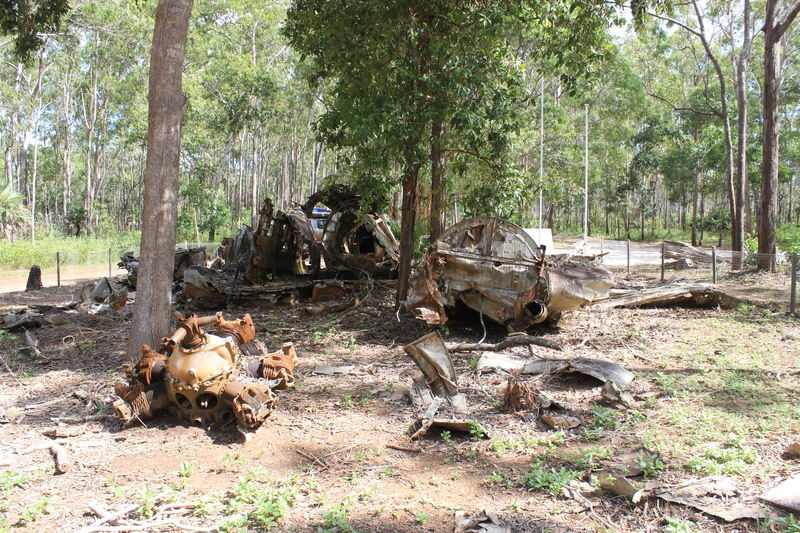 The Tip, Cape York, QLD. 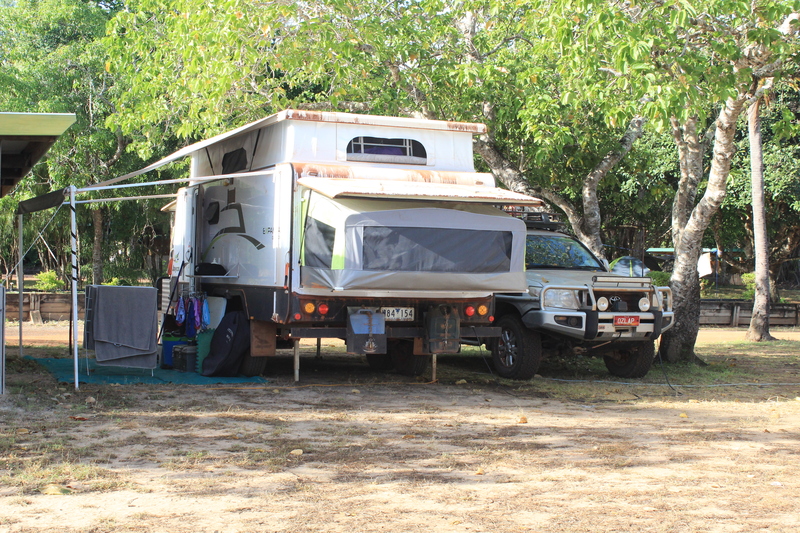 For the fifth time in the last 3 days we headed back up north along the Bamaga/ Bypass Rd, this time with the caravan, on our way to Seisia. The drive was uneventful, however the road did get a little worse for wear the further north we got. 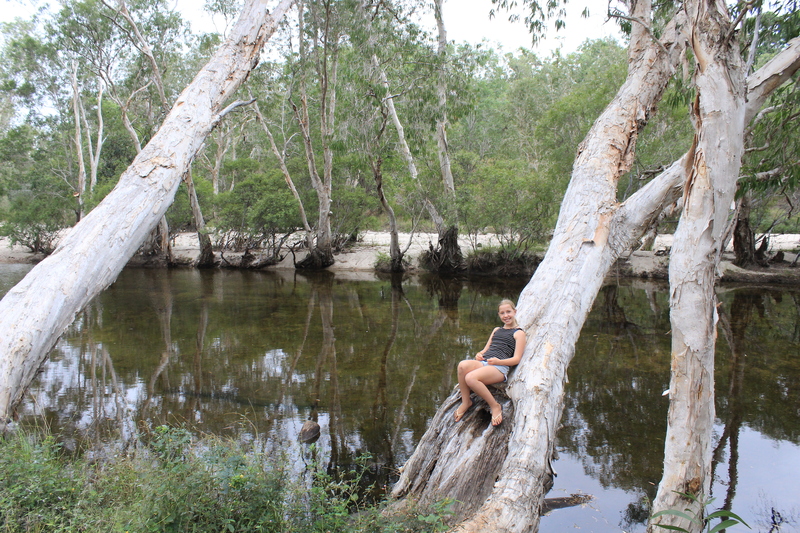 After a few hours we finally arrived at the Jardine River crossing, a murky croc infested river. 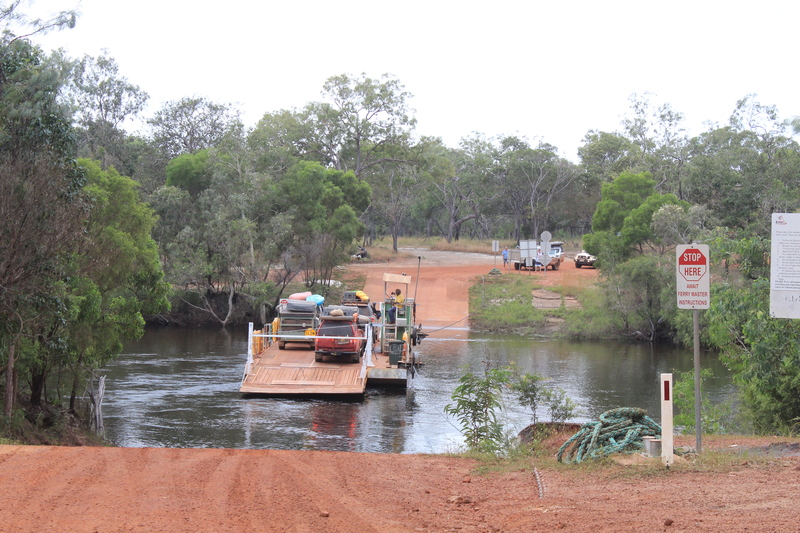 Thankfully the Jardine River Ferry takes you the very short distance over the river, making it a stress free occasion, and pretty much the only way you can get across the Jardine, unless of course you had a death wish. The area north of the Jardine River, including the Torres Strait Islands, is known as the Northern Peninsula Area, and is made up of five communities. Almost the whole Northern Peninsula Area is Aboriginal land owned by the Injinoo community. 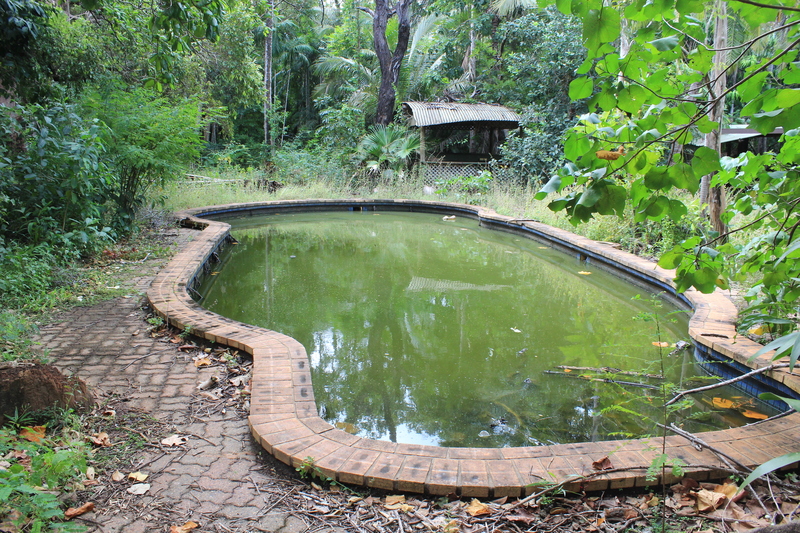 The towns of Bamaga and Seisia being generally populated by Torres Strait Islanders, whilst the towns of New Mapoon, Umagico and Injinoo are Aboriginal settlements. 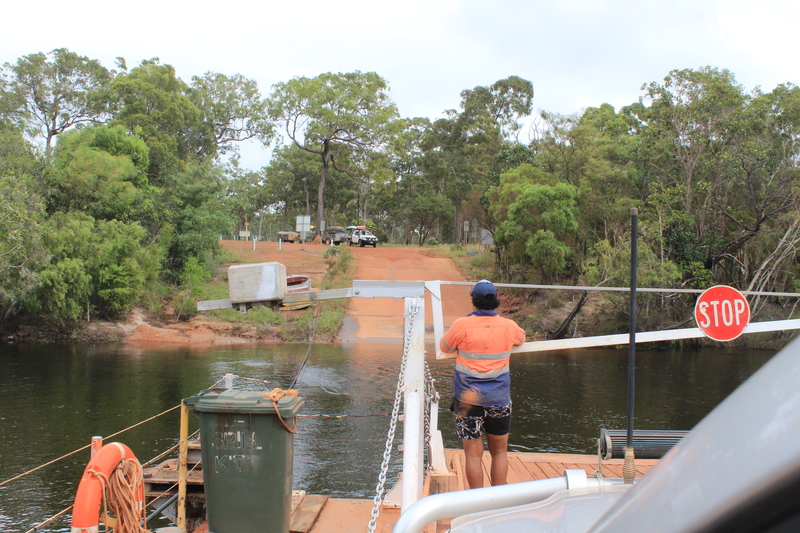 The ferry is actually owned and run by the Injinoo community and the return ferry ticket also doubles as a permit to travel around the area. 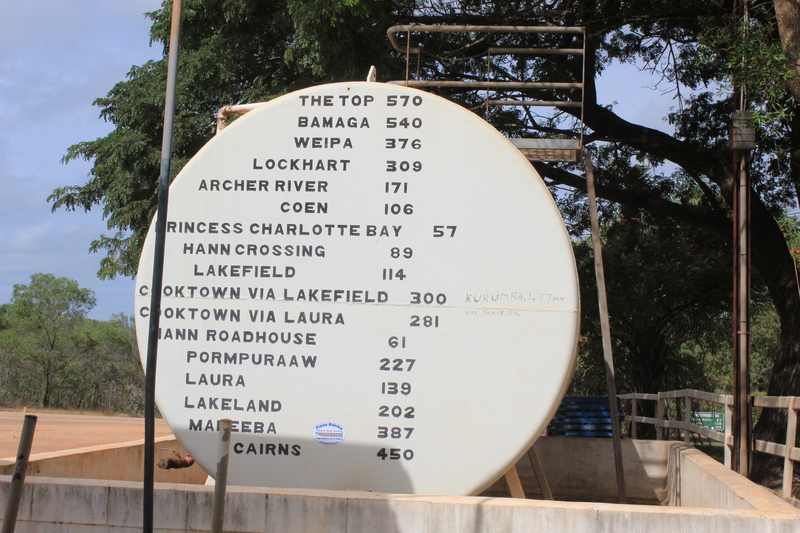 From the ferry it is only a further 50km drive to get to the main town of Bamaga, passing through both Injinoo and Umagico. 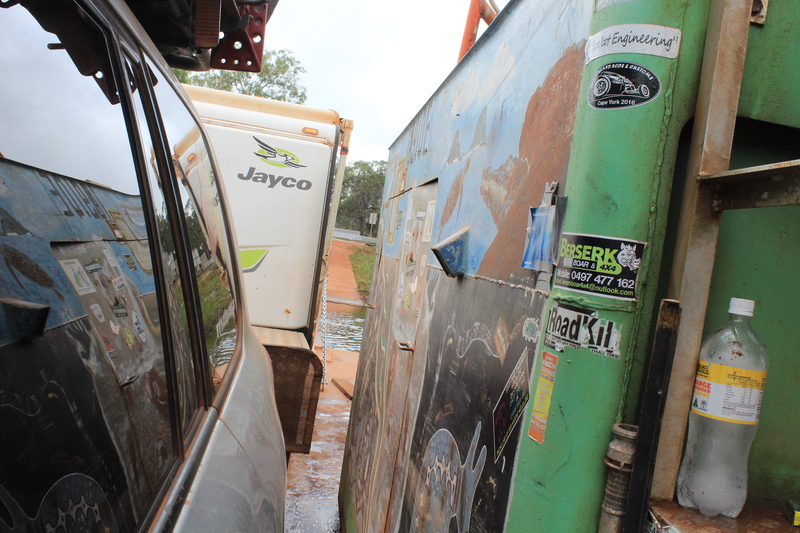 We headed to the Seisia Caravan Park, where we booked in for a few days to power back up and refill the water tanks. We ended up scoring a nice spot with a shelter just opposite the beach, however I’m sure the girls are getting fed up, as its like we are teasing them as they are not allowed in the water. The next morning while sitting on the beach enjoying a coffee, we spotted a few crocs about 20 metres off the shore, they were casually cruising the beach searching for some fish for breakfast…. 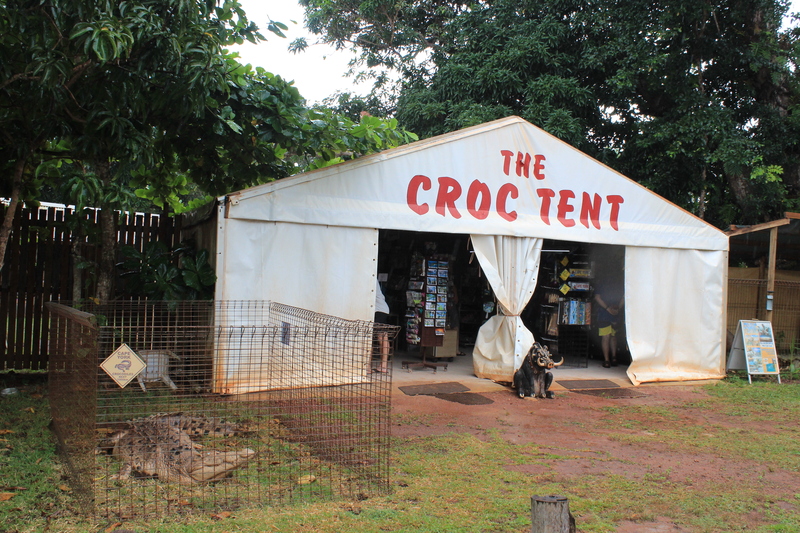 So finally after 29 months of travelling, today was the day that we got to drive the last 30km to the most northern part of mainland Australia, and in typical Smith fashion it was bloody raining…… SO we decided to take our time and called in at the ‘Croc Tent’, which is pretty much considered the unofficial information centre for anything around the tip. They have a mud map printed out and give you advice on what roads to take and not to take to explore the area, as well as having a tent/ shop full of memorabilia. Whilst nothing caught the eye of the girls and myself, Nik purchased a Cape York tank top as a souvenir from our travels. With the rain getting quite heavy we then decided to take a detour to Punsand Bay to check it out and book a few days there for the following week, this then allowed the rain to pass and we then headed out to ‘the tip’. The drive was not what I had expected, with the first half being through eucalyptus scrub and the second half of it through thick rainforest, which in addition to this morings rain, made for quite a muddy and wet drive. 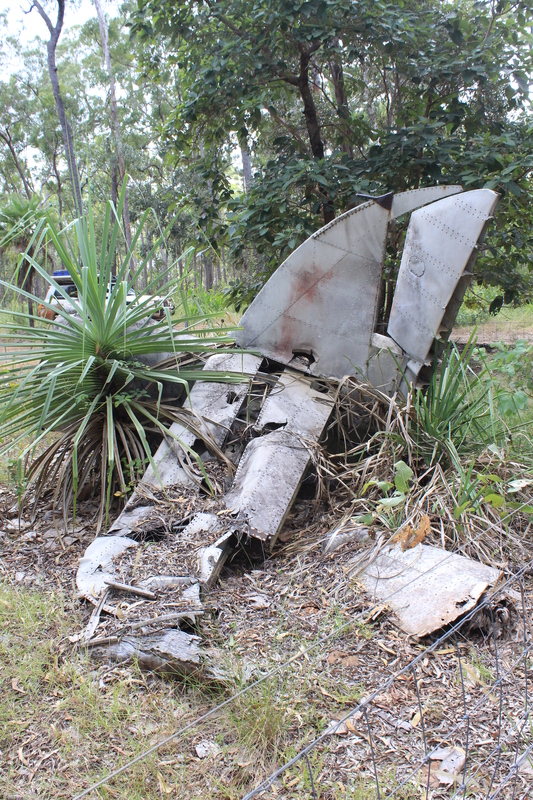 Apparently this area is know as the ‘Lockerbie Scrub’ and is considered an important biological site, as a number of species of the flora and fauna found here have only ever been found in New Guinea, which according to the experts confirms that the two areas were once joined by a ‘land bridge’. 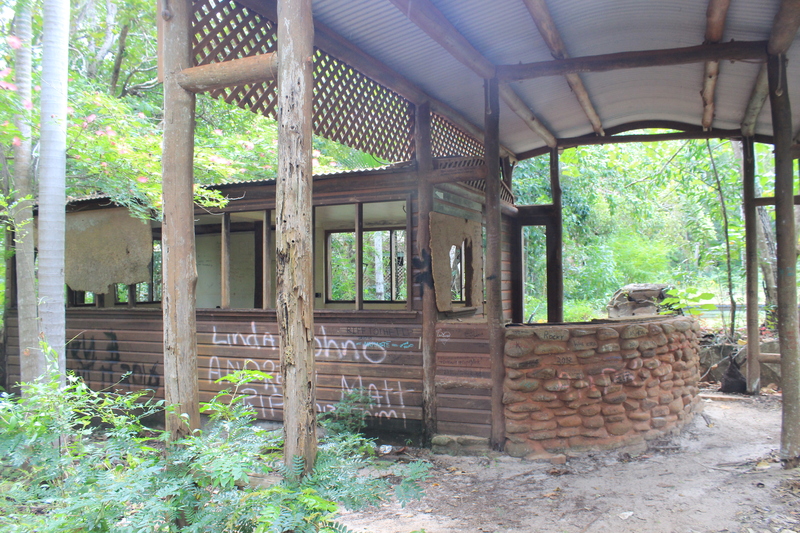 Less than 100metres before the road ends and the last hike to the tip begins, there is a group of old buildings that were once known as the ‘Pajinka Lodge’. 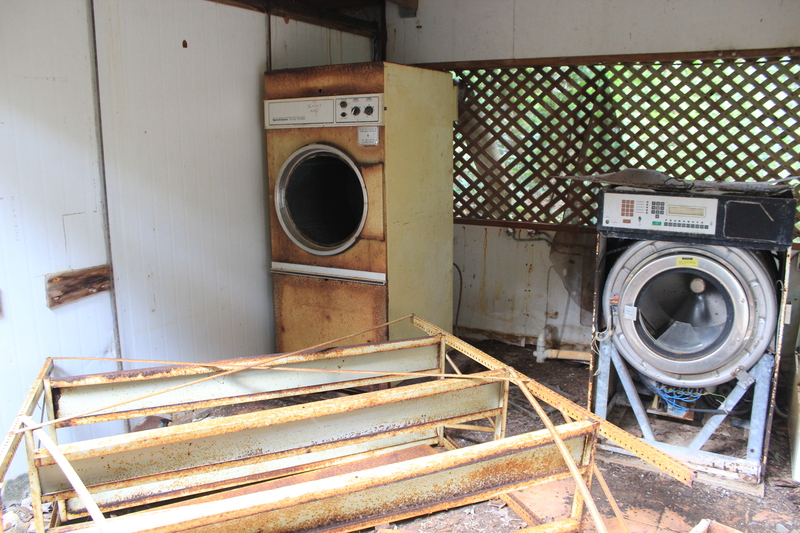 According to our research, the lodge was brought by the government at the expense of the tax payer and was then handed over to the communities up here, where unfortunately and for whatever unknown reason, it stayed open for only a few months and then closed its doors for good. These days, as the photos show, it has been trashed, ransacked and damaged beyond repair, we were only able to walk through a few of the main buildings, being the reception, bar, restaurant, kitchen, laundry, a few close by rooms and the pool, that was filled with thick sludgy green water that none of us were brave enough to go near, god knows what was at the bottom…… It was quite sad really, but then it would have been a mammoth, quite expensive task for anyone to keep open, given the remoteness of the area, perhaps the government could have done a bit more homework before going and spending countless amount of dollars on such an ill-fated project. Arriving at the ‘carpark’ filled with a dozen other cars, we headed out on the 750m rock hopping hike to reach the edge of the mainland, even though we were all prepared and wearng thongs, at least we remembered to put sunscreen on as the sun was buring hot. Thankfully, we were also well prepared to catch the moment with two GoPros, Nik’s, Bec’s, Zoe’s and my phone, as well as the Canon camera and tripod, we did however leave the drone back at the van as it was bloody windy. Whist there was a few people down there, everyone was thoughtful enough to move away, so that everyone else got to have a chance taking photos. In all we were there for about an hour, I’m sticking to my guns and saying we stayed for so long to read the many memorial plaques scattered about the rocks and to sit and soak up the atmosphere and experience of the place, not because of the fact that we could pick up 3 bars of 4G………… One lady, who was in her early 60’s actually spent the whole time ‘face-timing’ her friends on her phone and showing them the sign, whilst taking photos with her Ipad…. we chuckled to ourselves as we recalled many times over our travels the grey nomads giving the younger generation a bad wrap for their use of technology. 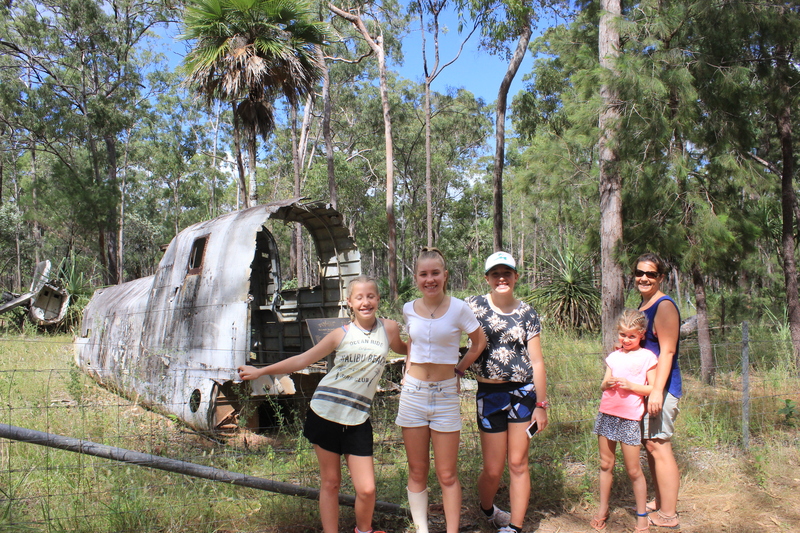 We also visited two WWII DC3 plane wrecks which were scattered around the Bamaga airport, it was quite interesting reading the information plaques and it turned out to be quite the history lesson for all of us. After a few days we had packed up and were back on the road to head about 20kms up the road to Punsand Bay campground. Whilst the bearings weren’t delivered on the same day, I think we did pretty well getting them the next morning, which allowed Nik to replace the remaining 3 wheel bearings, good as new!!! Once we were all good to go, it was voted on to start heading south again, I think after 2 weeks the girls were sick of being so close to the ocean and not being to swim in it, although we did spot a few crocs lazily swimming along the shoreline early one morning. 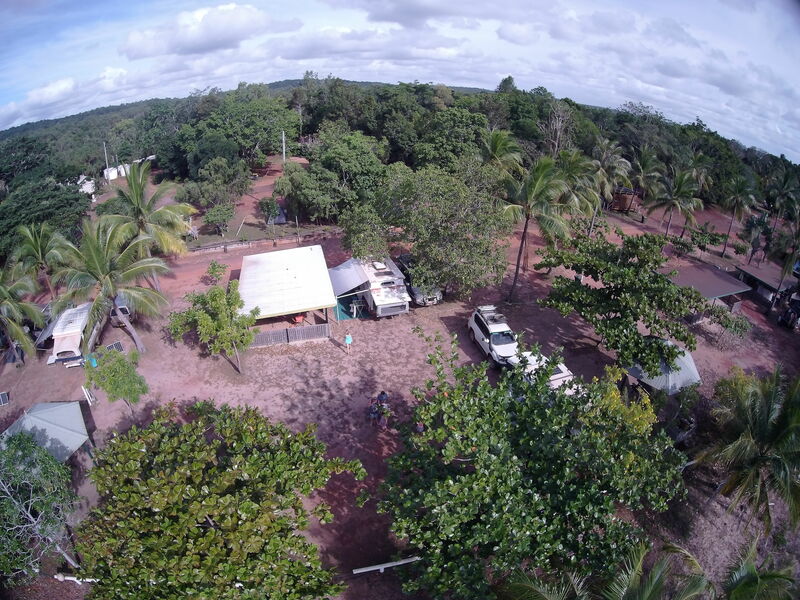 From Seisia we drove back the way we came, stopping in at Moreton Telegraph Station for a pleasant overnight camp. 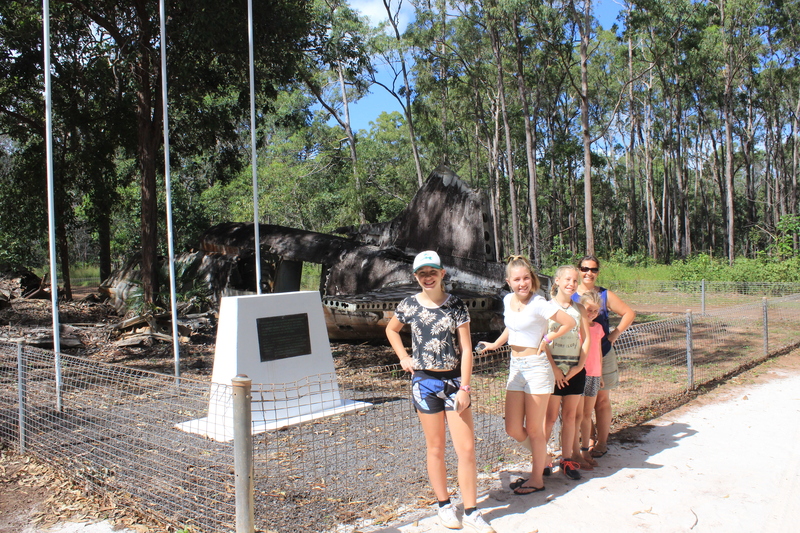 Moreton Telegraph Station is a station situated on the Wenlock River and is purely focused on tourism, opening for the dry season each year. 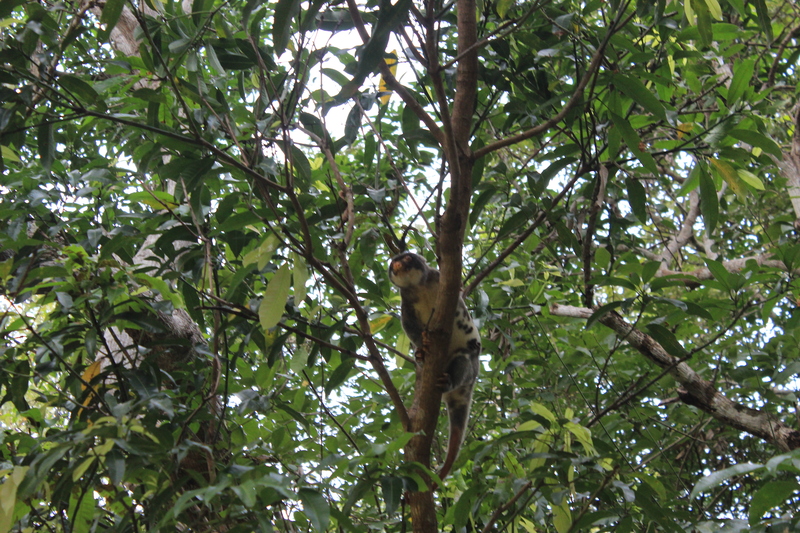 Whilst here Nik spent the afteroon fishing for Barramundi, whilst keeping a close eye out for crocs, we were also luck enough to spot a Spotted Cuscus. 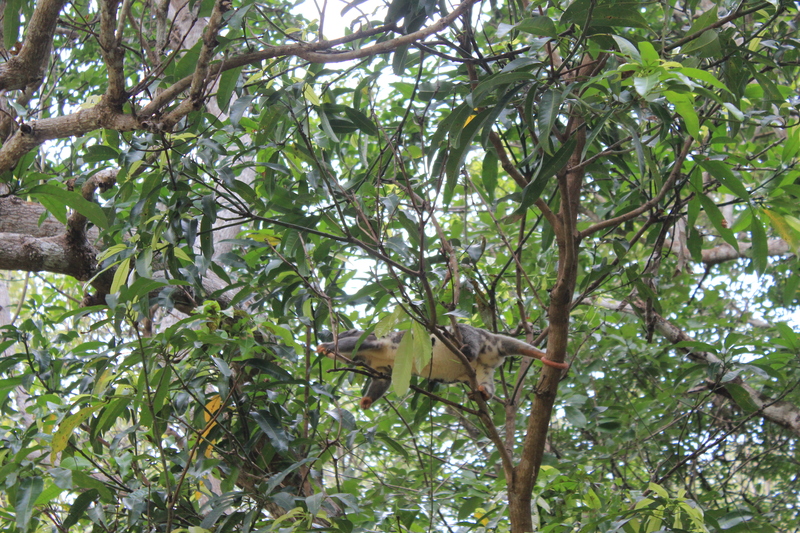 The Spotted Cuscus is cousins of the possum and is found in Papua New Guinea and the far north region of Queensland’s Cape York Peninsula, it is a spotted orange in color, with a face that looks very similar to a sloth. From Moreton Telegraph Station we decided to take the short 140km drive east off the PDR to Chili Beach, just north of an Indigenous community of Lockhart. 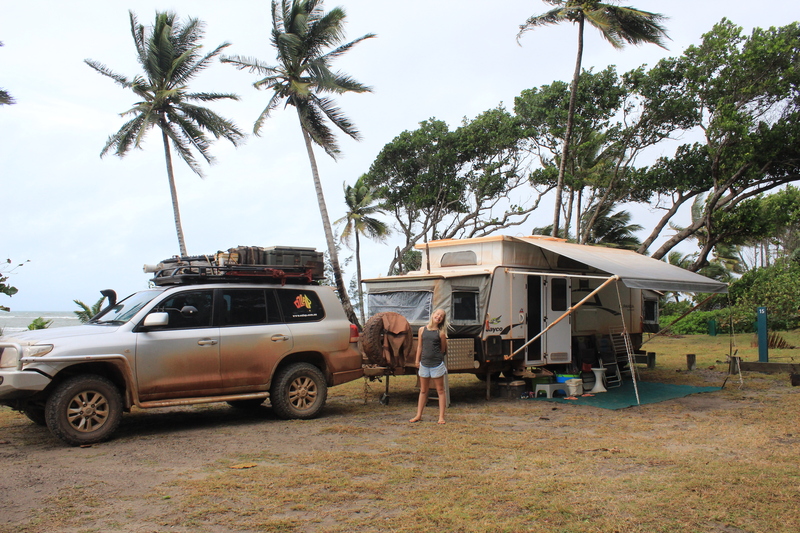 The distance on paper looked quite tame, however looks can be deceiving and finally after 3 hours of gullies, deep water crossings and losing the brakes on the caravan, we arrived at Chili Beach. 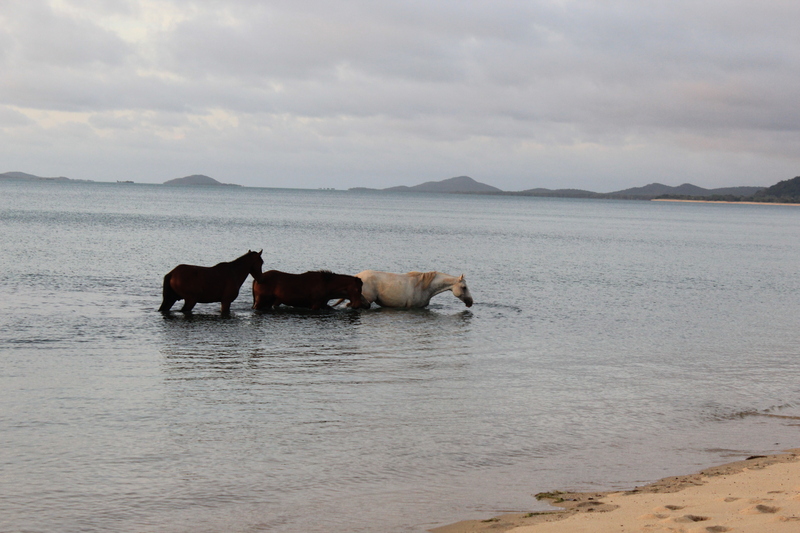 We had decided to try our luck and not book as we had been told that right on the beach you can get internet reception. So after having a quick walk around we chose a spot that protected us from the wind, set up, then got online to book and pay for the night. 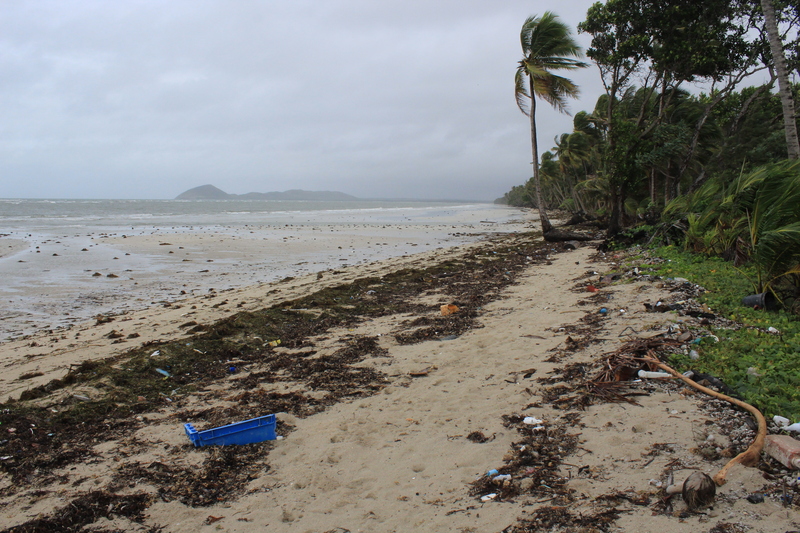 That afternon wasn’t too bad, Chili Beach is notorious for being very windy all the time, with a beach that is covered in rubbish from Papua New Guinea, due to the tides, so we had a wander around and a walk along the beach. Just as well, as the rain set in about 5pm that afternoon and did not let up. 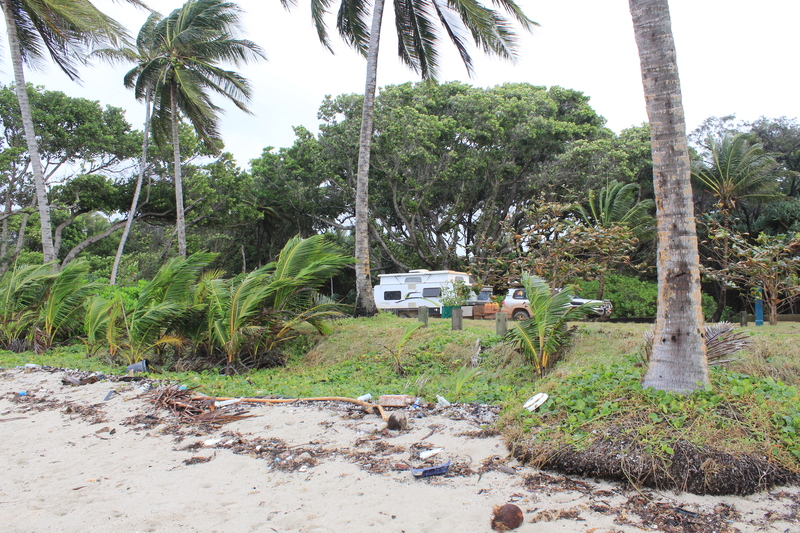 The poor people who pulled up next to us in a camper trailer struggled through the night and when we awoke early the next morning they were packing up and were back on the road by 6:30am. With the wind and rain settled in for the day and visibility at an all time low, we decided to take a vote about who wanted to stay and who wanted to go. We could handle the wind, but the sideways cold rain was doing our head in keeping us in the van so with a 2 to 4 vote, we packed up and drove the long drive back to the PDR which was made all the more difficult, muddier and wetter due to the overnight rain, thankfully not enough to raise any of the river crossings too much…..
Our final night on our Cape York trip was at Coen freecamp on the Coen river, which is where we had stayed on the way up. Our final day driving the Cape was between Coen and Lakelands and was the worst road we had encountered on this adventure. The 200kms of corrogations were horrendous, we were unable to gain any speed and drive over them as the axle crunching wash outs and bull dust holes left us zig zaging all over the road. 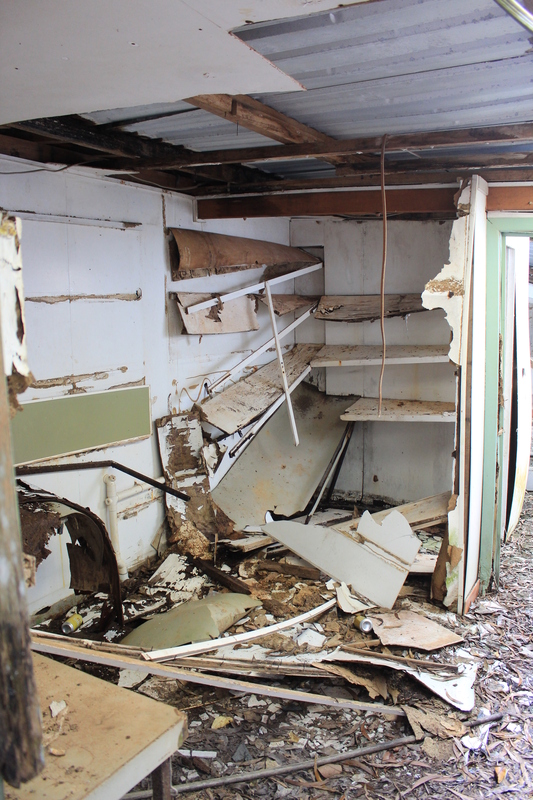 Our relief as we drove into Laura, where the bitumen began, was short lived as we discovered that our oven door had rattled off and was lying on the floor, together with half a carton of milk………. 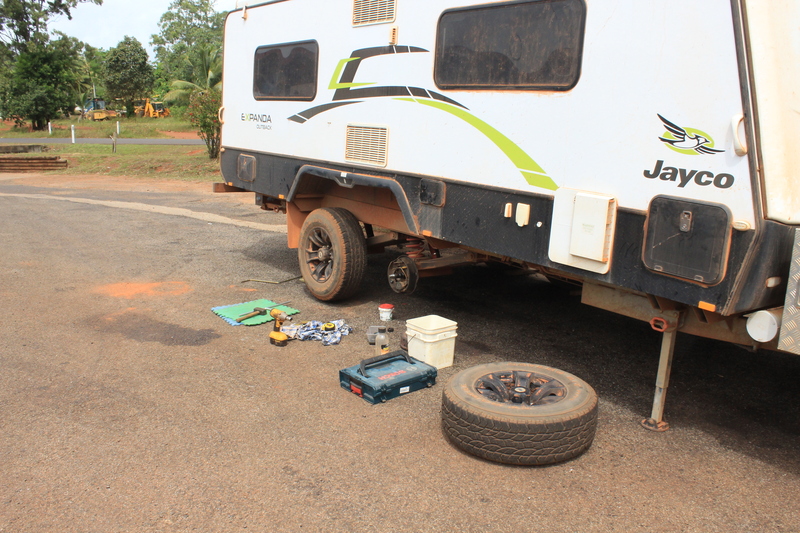 Over the next week we spent many hours cleaning up and fixing bits and pieces as a result of our trip up to Cape York. We were glad we made the trip and don’t regret taking the van, regardless of the few mishaps (bearings, brakes and oven door, all of which Nik fixed good as new!!! 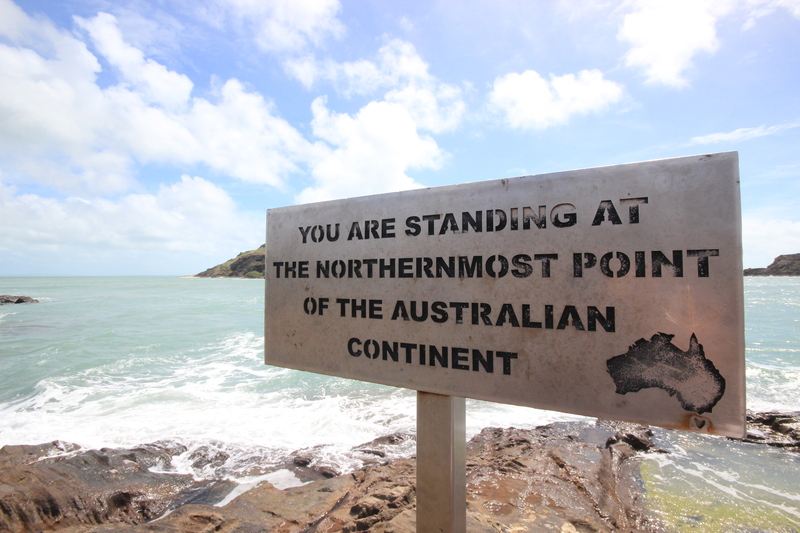 ), we were proud to say we had conquered the northern most tip of Australia. Would we do it again? No, not unless it was a trip just to conquer the OTT, as we all agreed that the OTT had the most stunning natural attractions of the trip, whilst the rest was just corrugated roads and gorgeous beaches that you couldn’t swim in. 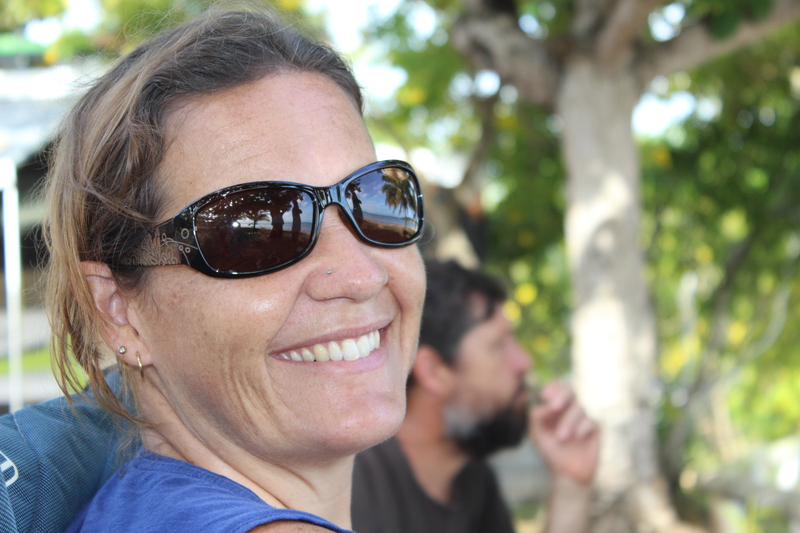 We had also decided not to do the tourist day trip over to Thursday Island, as apart from the cost (approximately $700), it seemed to us to be quite ‘set up’ and too touristy for us. Perhaps Nik and I will visit another time as part of a work contract on the island instead. 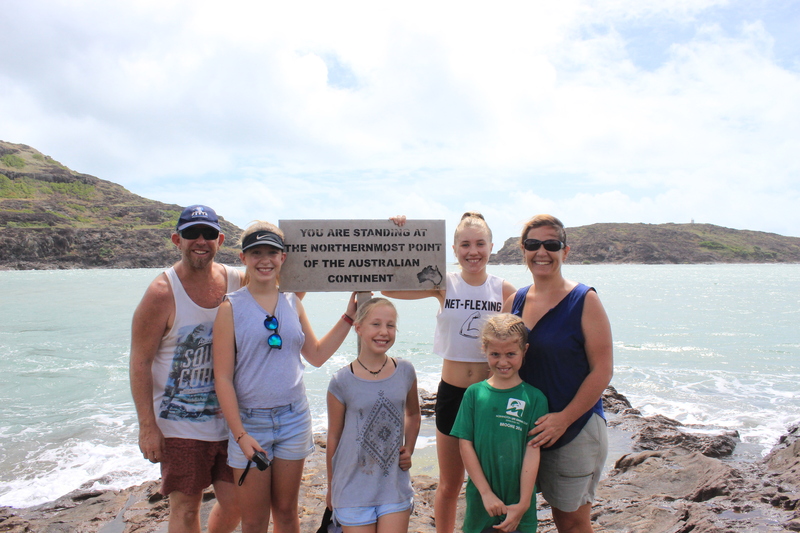 So after updating our map and ticking off another significant geological point of Australia, we headed south onto our next adventure and destination of our OZLAP………. Hey Snowy, I didnt because i bought 2 sets so i have a new set as a spare.